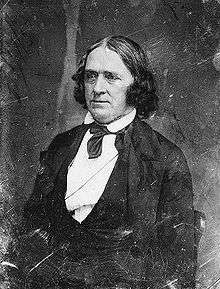 John Adams Dix (July 24, 1798 – April 21, 1879) was Secretary of the Treasury, Governor of New York and Union major general during the Civil War. 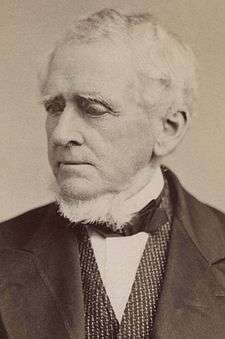 He was notable for arresting the pro-Southern Maryland legislature, preventing that divided border state from seceding, and for arranging a system for prisoner exchange via the Dix-Hill cartel, concluded in partnership with Confederate Major General Daniel Harvey Hill. Dix was born in Boscawen, New Hampshire, the son of Timothy Dix and Abigail Wilkins, and brother of composer Marion Dix Sullivan. He joined the US Army as an ensign in May 1813, serving under his father. He attained the rank of captain in August 1825, and resigned from the Army in December 1828. 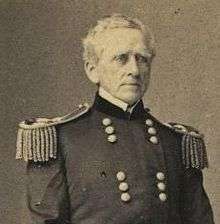 At the start of the American Civil War, Dix was appointed a major general in the New York Militia. He joined the Union Army as the highest ranking major general of volunteers during the war, effective May 16, 1861; also appointed on that day were Nathaniel P. Banks and Benjamin Franklin Butler, but Dix's name appeared first on the promotion list, meaning that he had seniority over all major generals of volunteers. In the summer of 1861, he commanded the Department of Maryland and the Department of Pennsylvania. 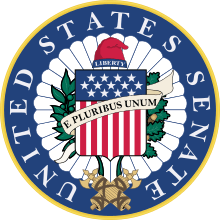 His importance at the beginning of the Civil War was in arresting and thereby preventing the Maryland legislature from meeting. This prevented Maryland from seceding, and earned him President Lincoln's gratitude. That winter, he commanded a regional organization known as "Dix's Command" within Maj. Gen. George B. McClellan's Department of the Potomac. Dix commanded the Department of Virginia from June 1862 until July 1863, and the Department of the East from July 1863 until April 1865. 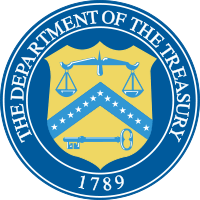 On October 10, 1862, Lincoln’s Secretary of the Navy, Gideon Welles wrote that “a scheme for permits, special favors, Treasury agents, and improper management” existed and was arranged by Treasury Secretary Salmon P. Chase for General John A. Dix. The motive of Chase appeared to be for political influence and not for financial gain. Dix was considered too old for field command. Some believe that his most distinguished contribution to the war was the suppression of the New York Draft Riots in July 1863, although the rioting had already subsided by the time he replaced General John E. Wool. He was also active in the defense of Suffolk, which was part of his department. 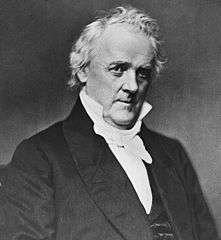 He served as the temporary chairman of the 1866 National Union Convention. His memoirs, contained in two volumes, were compiled by his son. Dix Mountain, one of the Adirondack High Peaks, was named for him. The name was later extended to its entire range, and unofficially applied to neighboring High Peaks South Dix (soon to be renamed Carson Peak) and East Dix. The Forest Preserve management unit in which those peaks are located is the Dix Mountain Wilderness Area. ↑ From Dix's report to Union Secretary of War E. Stanton, July 23, 1862, Official Records, Series II, Vol. 4, pp. 265-68. ↑ pp. 166, 175, 177, 227, 318, Welles, Gideon. Diary of Gideon Welles, Secretary of the Navy Under Lincoln and Johnson, Vol. I, 1861 – March 30, 1864. (Boston and New York: Houghton Mifflin Company, 1911. ↑ Dix, Morgan. "Memoirs of John Adams Dix," Volumes 1 and 2 (1883, Harper & Brothers).